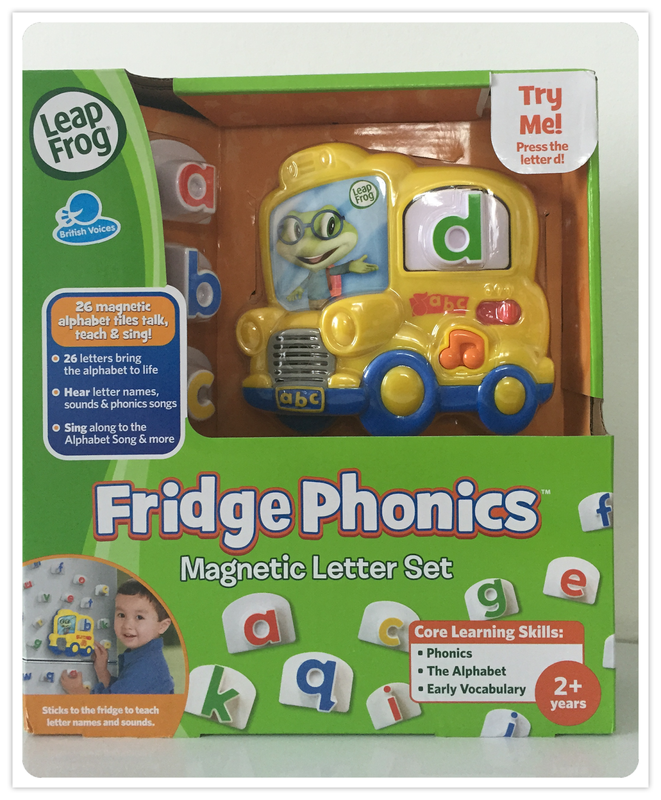 When we had the opportunity to review Leapfrog Fridge Phonics Magnetic Set, we jumped at the chance as we are big fans of Leapfrog in our home. My eldest of my two little boys has grown up with the brand, and all of the products have stood the test of time. 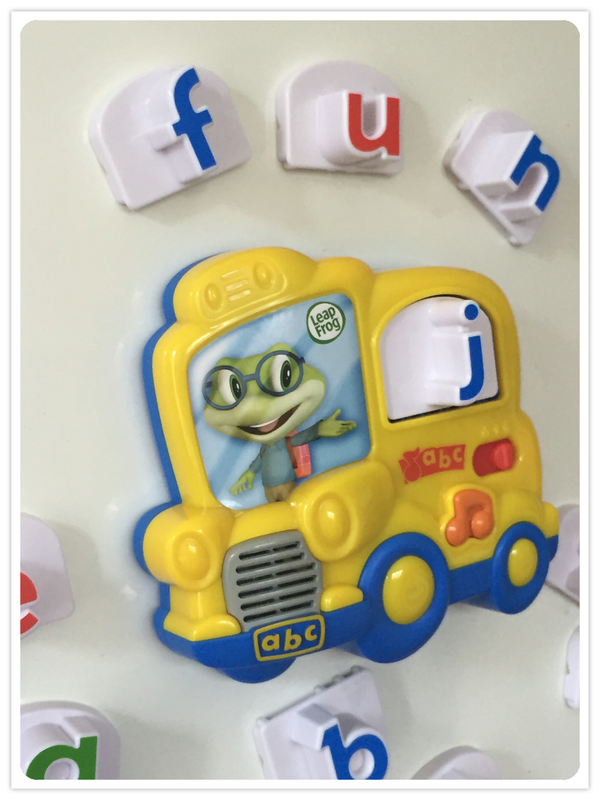 The Fridge phonics set contains an interactive Magnetic base (A bus with Tad the frog driving) and 24 letters of the Alphabet. It came complete with batteries which is a bonus. 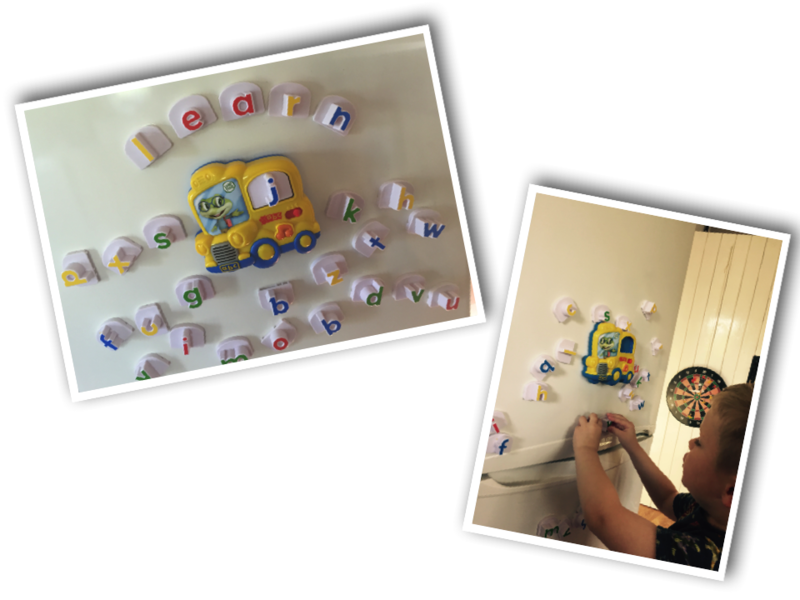 The Letters are nice and easy for little hands to grasp. They combine three colours, Green, Yellow and Red are the vowels. When a letter is placed into the base it not only says the Letter but sounds it too. It also uses a word that starts with the chosen letter. The base is surprisingly light and stays in position once placed onto the fridge door. You can adjust the volume to the front and there’s a music button which plays “The wheels on the bus” and “The alphabet song”. It is recommended for Ages 2-5 Years. This has a big thumbs up from us!. 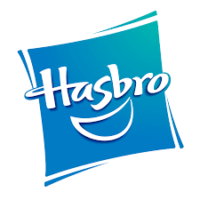 You can buy your own at major toy stockists RRP £14.99 offers varying from store to store. 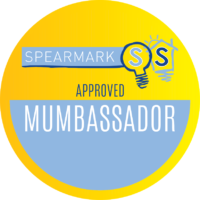 Take a look at Leapfrogs website for more fun to learn ideas. My friend has this for her daughter and it is really good. My kids always gravitate towards it when we visit!